The customer is always right. Or so we’ve always been told. Truthfully, the customer is not always right, right? Rule #1: The customer is always right. Rule #2: If the customer is WRONG, refer to Rule #1. Does this still hold true to this day? 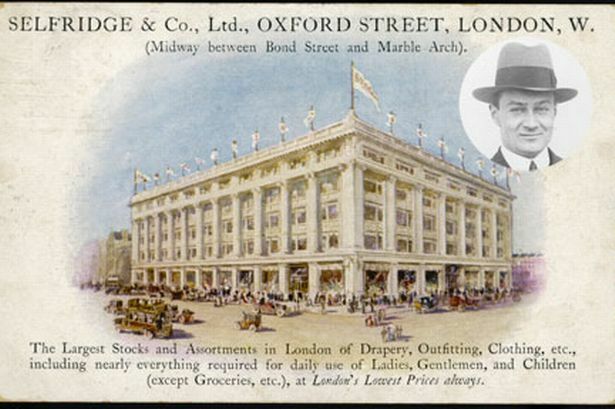 The origins of the “customer is always right” is attributed to retailers such as Gordon Selfridge, John Wanamaker and Marshall Field, who owned retail stores in the late 1800’s. These retailers advocated that customer complaints should be treated seriously so that they should not feel cheated or deceived. This attitude was novel and influential when misrepresentation was rife and caveat emptor (let the buyer beware) was a common legal maxim. A variation frequently used in Germany is “der Kunde ist König” (the customer is king). Back to the Original Question: The Customer is Not Always Right, Right? Is the customer always right? A quick Google Search shows 178 million hits for that phrase. Clearly, helping customers is on the minds of a lot of people! With platforms like Facebook, Twitter, and Yelp putting the power of voice flatly in consumers’ hands via social media, is the customer always right? Here’s the secret that many business owners are afraid to admit: the customer is not always right. In fact, some customers are so wrong; you sometimes feel like a fired-up baseball umpire that just wants to get in their face and scream at them just how wrong they are…BUT, the customer always thinks they are right. That’s what’s important to remember. →The key is to swallow your pride and look beyond the need for you to justify your company’s actions. →Treat your customers the way you would want to be treated—even if you knew you were not right—and your business will flourish because word of mouth will treat you well and you won’t get distracted by the Mr. W. Rong’s of the world. The customer is always right. 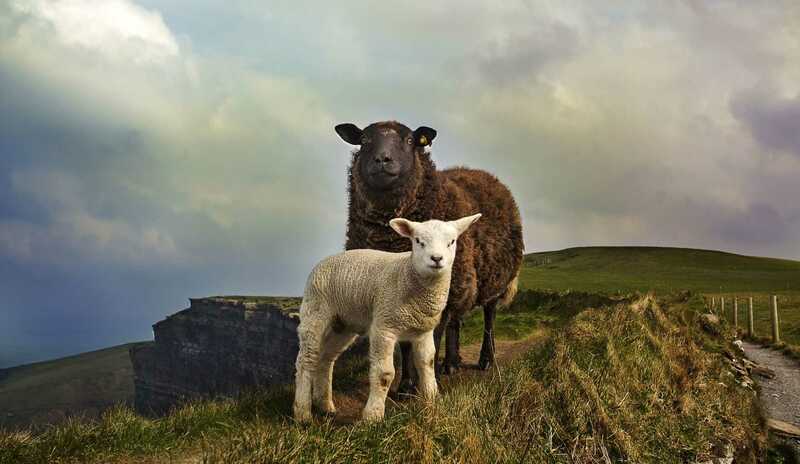 For businesses that rely on consumers to provide direction and profit, no adage or truism so perfectly sums up the supplier-purchaser relationship. Of course, in order to be right, customers have to be heard. Luckily, modern technology makes it easy for customers to become involved in the conversation. The customer is not always right. Sometimes they are wrong. How we handle those moments when the customer is wrong is the magic key to gaining customer trust and continuing a successful relationship. Know your stuff. If you are providing a service, you should always be more educated than the customer on what you are selling. Being knowledgeable creates trust. Think. Before you act on a customer request stop and think if your action is in the best interests of the customer and your long-term relationship. Sometimes overreaching to fix an issue now will cause you to have to continue to overreach just to keep the customer happy. Care. 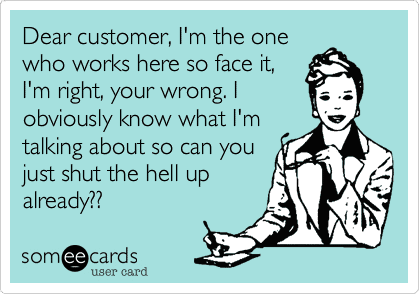 Many times a customer reacts because they feel that the service provider doesn’t care or understand their concerns. Listen, acknowledge and work with the customer on a plan of action to resolve the issue. Treat the customer with respect. Communicate. Take the time to explain the circumstances thoroughly. 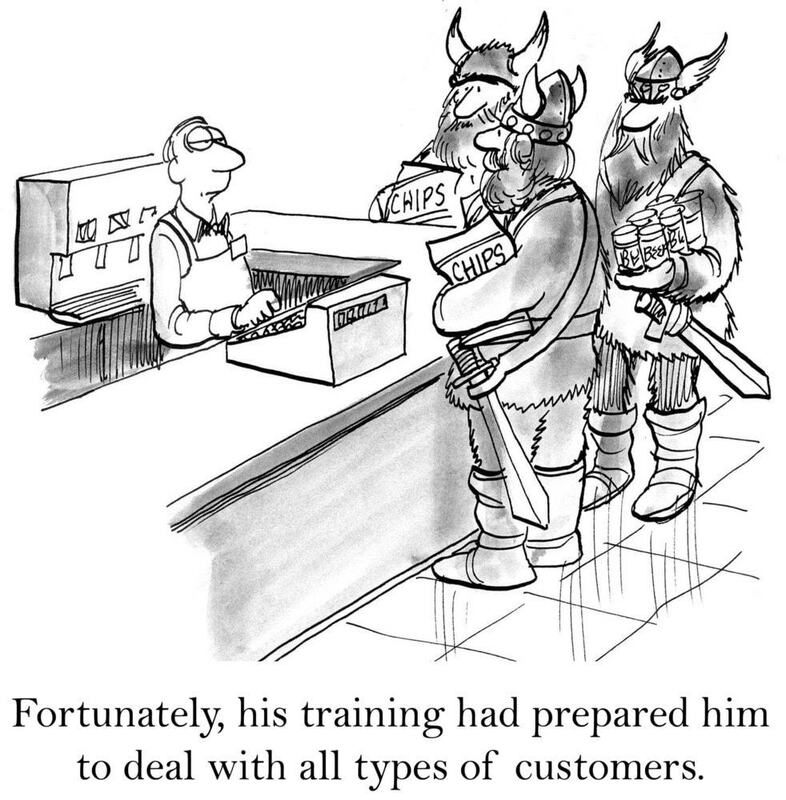 Ensure that the customer understands what you are saying. Ask questions, to confirm that the customer has absorbed the information you have shared. Negotiate. Before saying “no” outright, attempt to negotiate. Negotiation allows the customer to gain something even if it isn’t exactly what they believe they want. Ask questions to ascertain what the customer really needs. Be comfortable with the hard conversation. Telling the customer “no” whether directly or indirectly is never an easy conversation but knowing that you are giving the most accurate assessment of the information that is in the customer’s long-term best interest should provide you with the courage for the discussion. Remember that you are not telling the person “no,” you are saying “no” to the request. Follow-up. After resolving the issue, confirm that the customer is satisfied and be available to answer any follow-up questions. You can create long-term goodwill with customers by just reaching out and following up. I’m a big believer in Karma. I know how I would like to be treated if an issue arose with a product I purchased. I aim to treat our customers the same way. →If you are in a service business, treat the customer as she is always right. If your goal is just to prove you are right, your head is not in the right space. Swallow your pride. If the outcome is going to cost you a significant amount of money, negotiate with the customer. I find most people are reasonable when you explain the facts and try to keep emotions out of the situation. →If you did no wrong, sympathize with the customer. You don’t necessarily need to apologize, but customers want to know you are listening and that you heard them. Ford Motor Company did a study many years ago. They discovered customers who had a problem with a product or service that was resolved quickly, bought more than customers who had no problems at all. Lesson learned: Acknowledge the issue with the customer quickly, set expectations on a resolution time frame and over-communicate. There’s nothing wrong with going out of your way to make your customers happy. Creating a good customer experience has become a differentiator that can make or break your business, in particular when it comes to online and mobile activities. 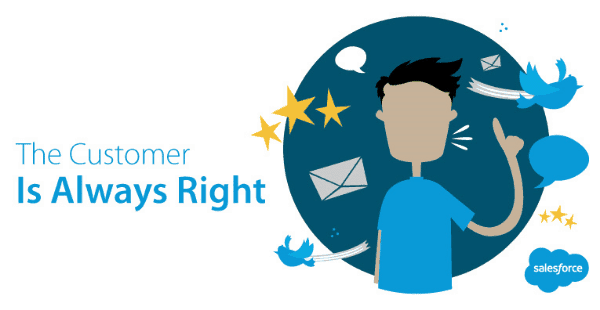 →“The customer is always right” sets a bad example for your employees. Why? Because it implies, if employees disagree at all with something the customer says (or can’t fix an issue), the employees are now the ones at fault. 1) Provide your employees with the right training to enable them to make the right decisions about how to handle customer situations. 2) Provide your employees with the right tools to allow them to communicate with your customers in the way that makes the most sense for them. So, what do you think? Is the customer always right? 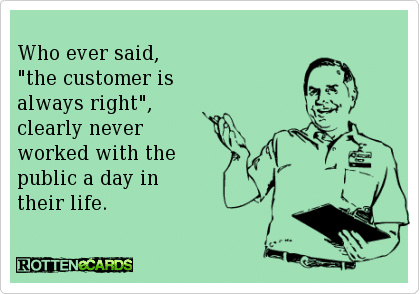 Or do you believe the customer is not always right? We’d love to hear from you!